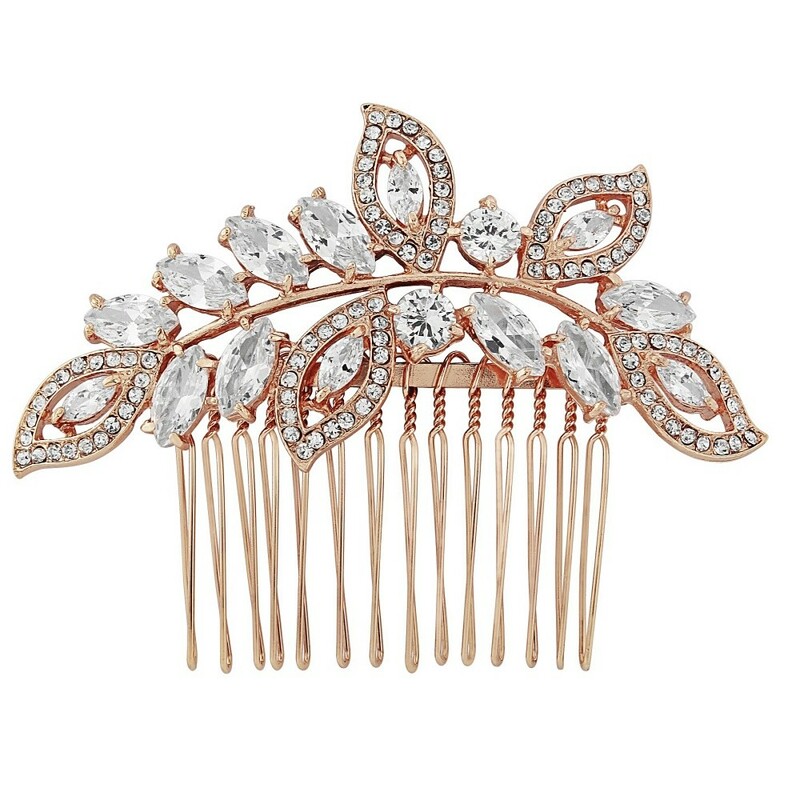 For a totally modern take on vintage style hair accessories, this rose gold hair comb has red carpet glamour written all over it! 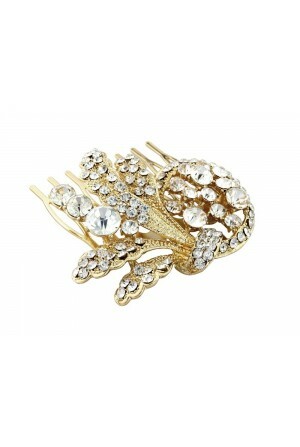 We are totally crushing on the lovely leaf design in this season's hottest rose gold colour, lifted by shimmering crystal topping. 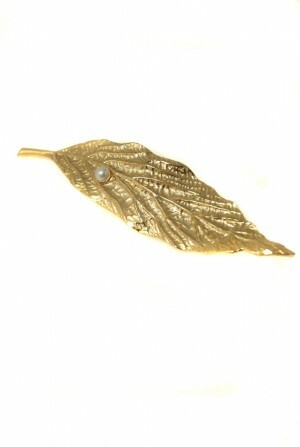 Add this 1920s flapper hair slide to your favourite party outfit and get ready to Gatsby the night away. 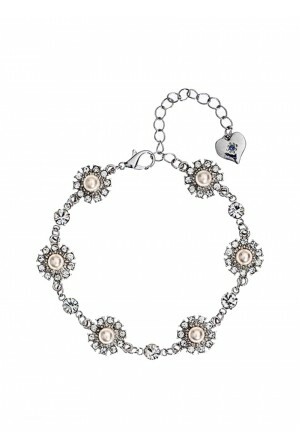 For the bride looking for a hint of vintage charm for their big day then this sophisticated slide is a winner. 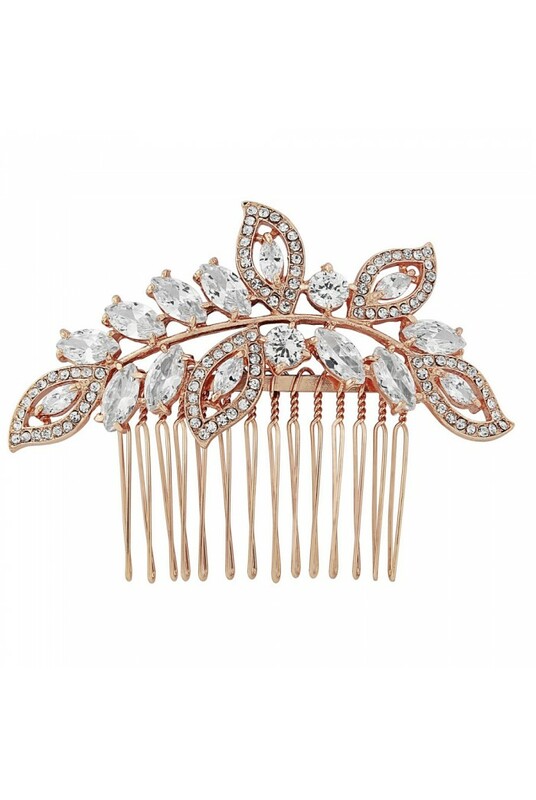 This is a vintage hair comb in rose gold tone metal featuring leaf design with teardrop and circular crystal decoration set on a rose gold metal comb. Measures 8.5cm x 6cm.